I want to create a sense of intimacy with a reading corner for the Duchesse Brisee. 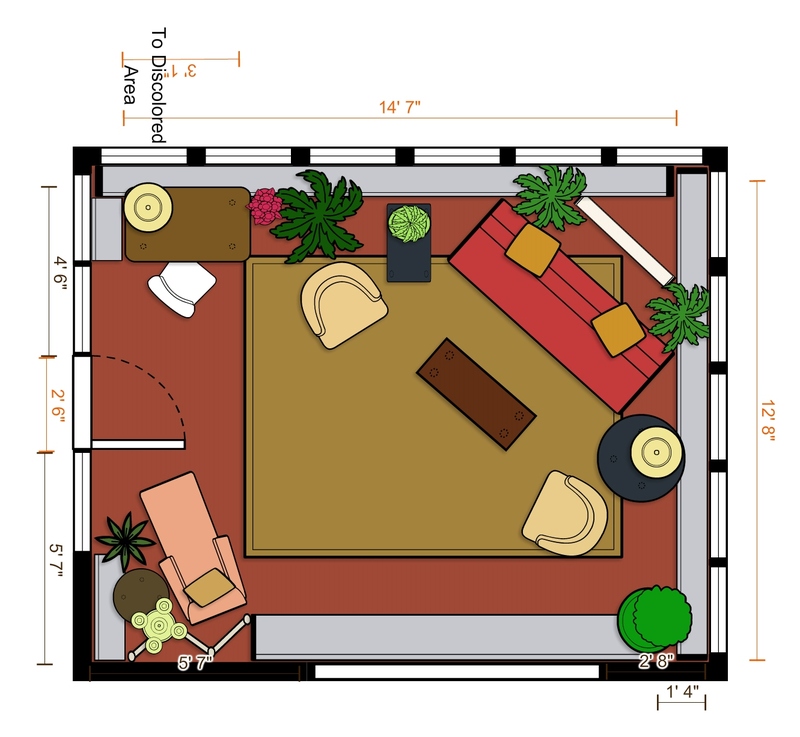 You may have noticed a few additions to my floorplan that I haven’t yet mentioned in my blog. I thought I’d fill you in on those today. Behind the Duchesse Brisee, I’ve decided to place a dressing screen. My reasons are two-fold. First, there is a jumble of cords in that corner…presumably, the homeowner had a stereo and some other media in this spot. So I want to hide that jumbled mess. Also, I want to create a sense of intimacy with the reading corner for the Duchesse Brisee. 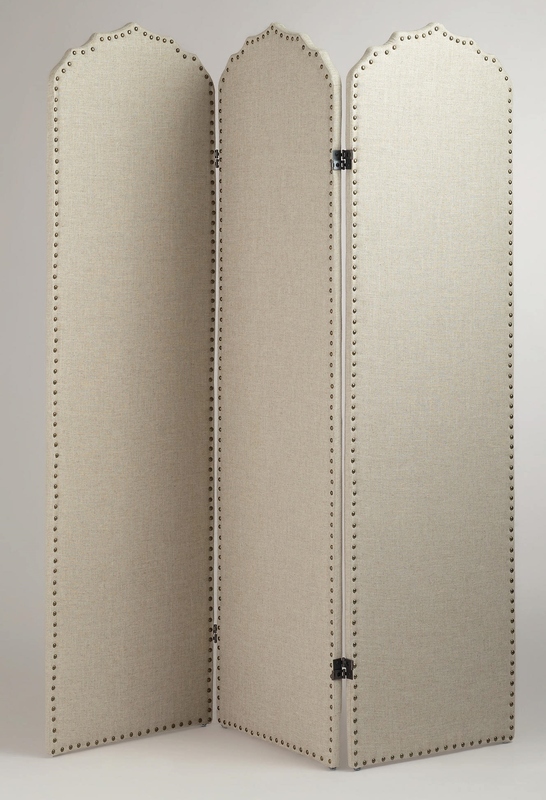 So I picked a very simple ivory linen 3-panel dressing screen with nail-head trim. This beautiful ivory linen-covered dressing screen will look so pretty behind the Duchesse Brisee. I love the curvy shaped top and the nail-head trim! I’m thinking I’ll actually hang some artwork on the screen. I have a few small antique prints of mushrooms that will look great here! You may have noticed a black square in the center of the main wall of the room. This is where I’m planning to place a black metal display ladder. On this ladder, I can place various flowers and plants, along with attractive vintage accessories. I love the height it will add to the space! 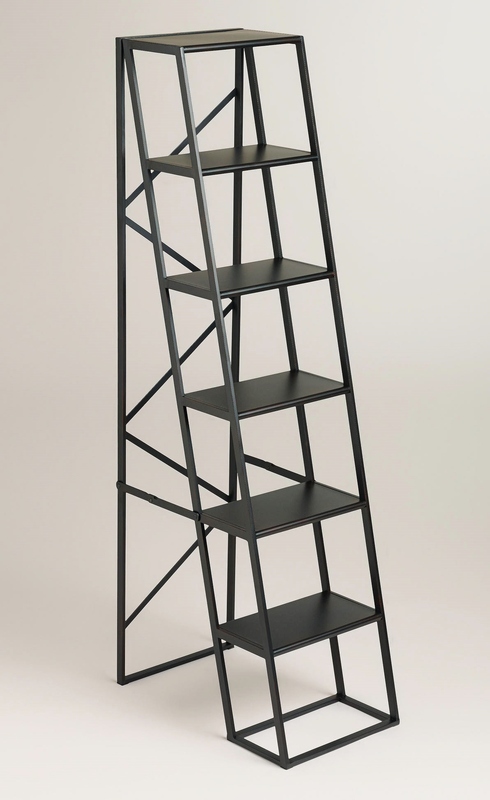 A terrific black metal display ladder will display plants and vintage accessories in my designer house sunroom. This entry was posted in Designer House, Furniture, Home Decor, Interior Design, Sunroom and tagged Bucks County Designer House, Decorate, Decorating, Design, designers, Display, dressing screen, Interior, Interior Decor, Interior Decorating, Interiors, Ladder, lighting, Robinson interiors, rugs. Bookmark the permalink.